Develop and deliver critical healthcare HL7 interfacing projects with the leading interoperability software built for analyst and developer productivity. 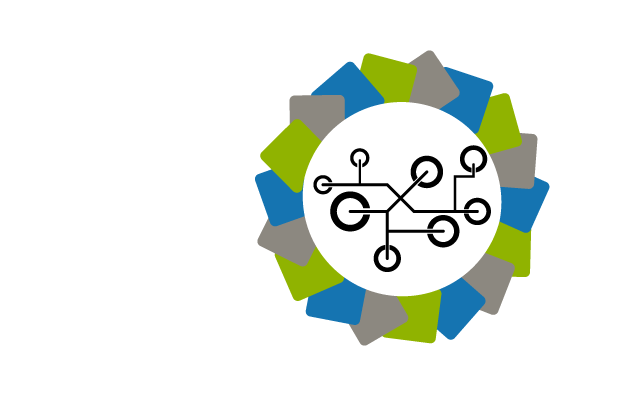 Get closer to One-Hour Interoperability. Compare HL7 message files and quickly get all differences. HL7 message comparison is done using HL7 message analysis (not strings) so the result is precise and accurate. Comparing two messages is as easy as comparing 1000. 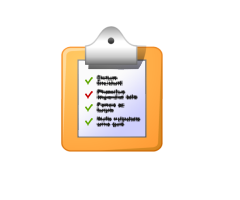 Report differences in a Excel or PDF document and share the difference descriptions with the project team. Focus on what is wrong, not message comparison. Focus on fields that matter to you. Select the field list to exclude or include from the comparison eliminating noise directly at the source. Files don’t contain messages in the same order? No problem, message matching can be done on specific fields so the application finds what message match. 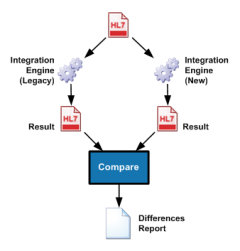 HL7 message comparison is quite effective for interface engine conversion. Compare transformations and business logic and validate that they are equivalent in the legacy and in the new interface.